« A RSS helps you ESI with RCC…! the ingredients--I forgot the sunflower seeds! 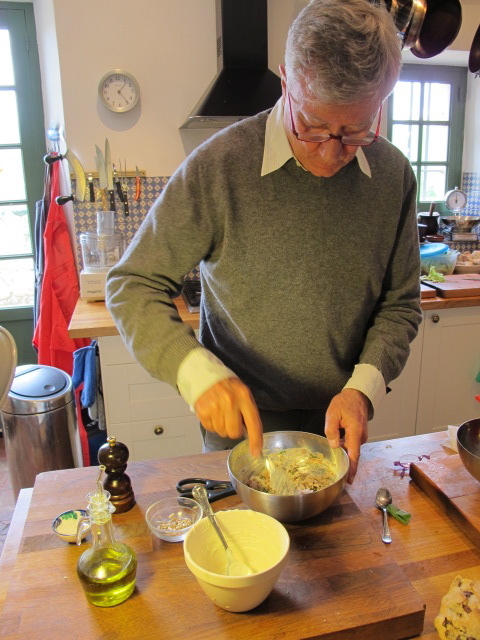 This is based on an early Nigel Slater recipe, and is a good standby for lunch–we had it yesterday, when I found very little else in the fridge! There are two ways of making the non-fat yogurt thicker and more interesting. 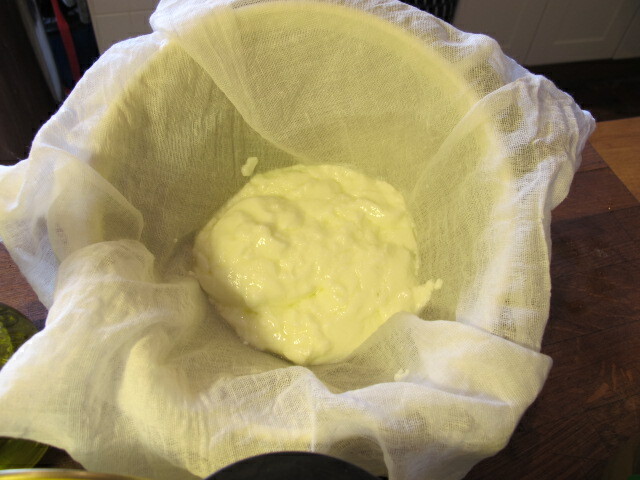 If you have a square of muslin, place it in a sieve and the sieve over a bowl. gather the material together and gently squeeze out about 60 ml of whey (liquid). 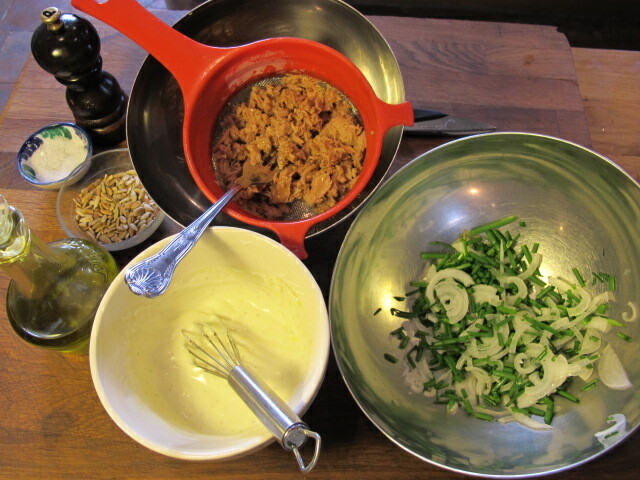 Meanwhile, empty the tuna into a bowl, add the herbs, the spring onion, the sunflower seeds, a scant tablespoon of olive oil and a twist or two of pepper. When you are ready, discard the whey and put the thickened yogurt into the empty bowl. 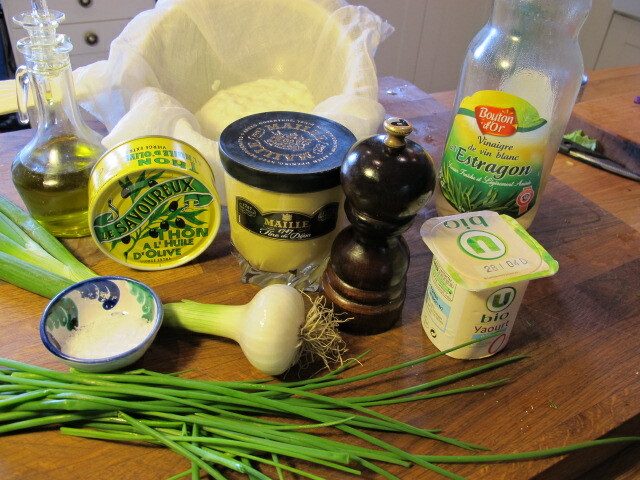 Whisk in the mustard, combining it well with the yogurt. 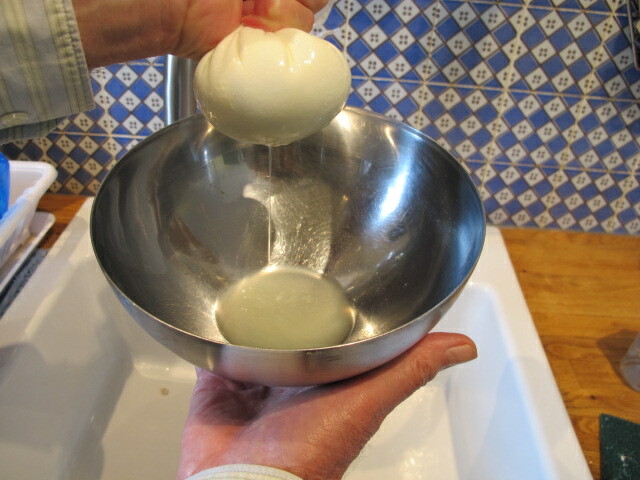 Add a scant tablespoon of olive oil and the vinegar–blending well. 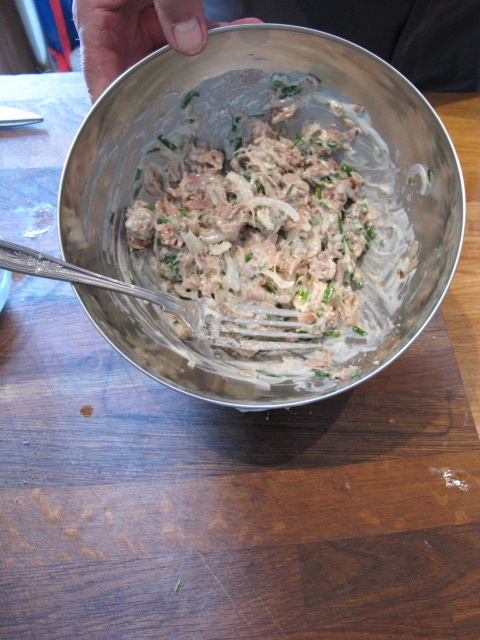 Fold the tuna mix into the yogurt and combine well. serving with a green salad. tuna salad --ready to serve! Really good tips! I have been searching for something similar to this for some time finally. Thank you!